As promised I bring you the pattern for the Lacy Beginnings Scarf. This scarf is all about contrasts. Fine yarn with large knitting needles, light weight yet warm. This scarf is perfect for those days when you need just one more thin layer. Please enjoy the free pattern below. Row 1-4: Knit all sts. Row 5: S1 purlwise, *yo, k2tog*, repeat from * 9 times. Row 6-7: Knit all sts. Row 8: S1 purlwise, *yo, k2tog*, repeat from * 9 times. Row 9-12: Knit all sts. Repeat Rows 5-12 to continue pattern. Work pattern until you reach your desired length. End with Row 8. 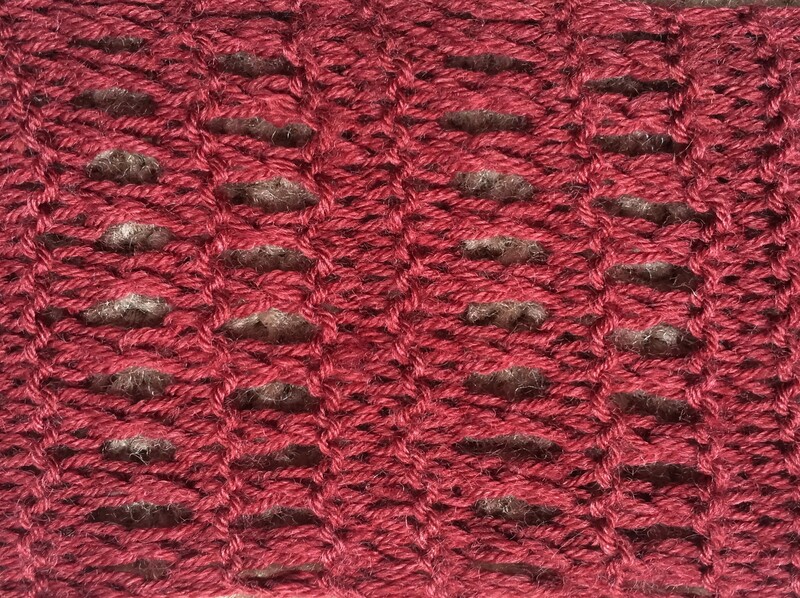 Knit 3 rows, then bind off all sts loosely. 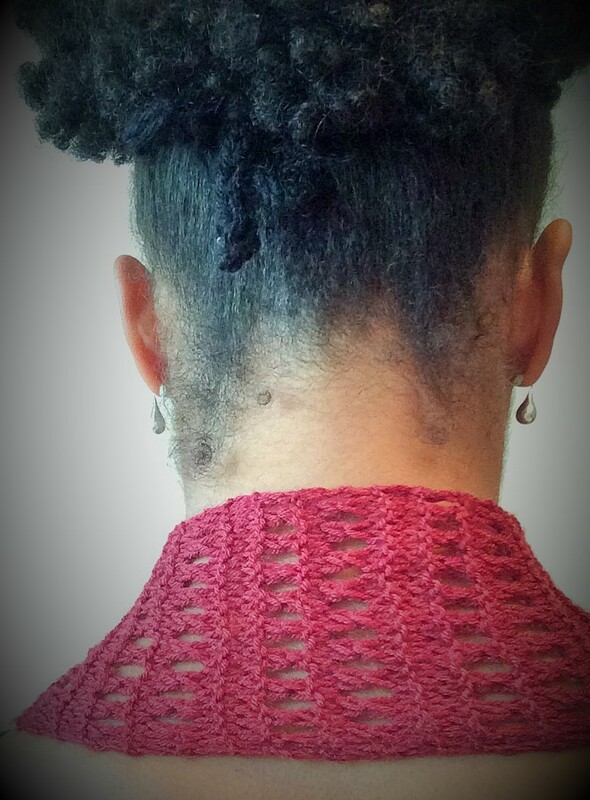 Finishing: Sew in ends. Block the scarf using wet blocking. Make sure to stretch the piece to even out the edges of the scarf. 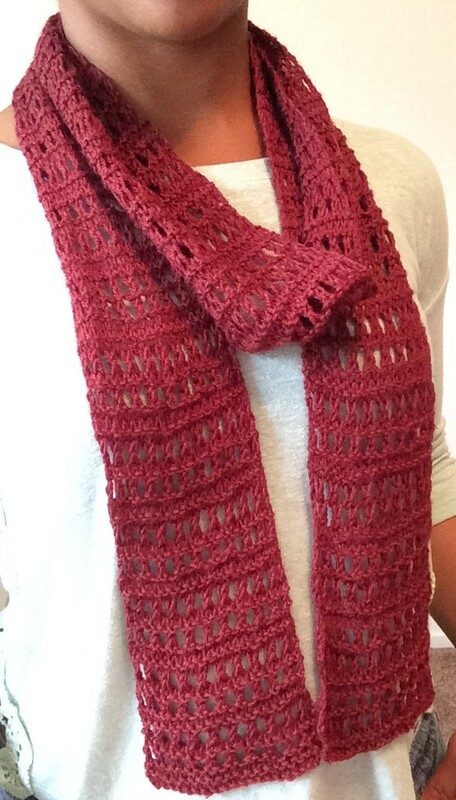 This scarf is posted on Ravelry. I would love to see your finished items :). So pretty. Great design concept. Thank you so much! This is a great pattern to travel/ commute with. If you don’t mind sharing your photos of your finished project please send them to knitbywhit@gmail.com ☺️ I would love to see the finished product. Of course! I will let you know how it goes. 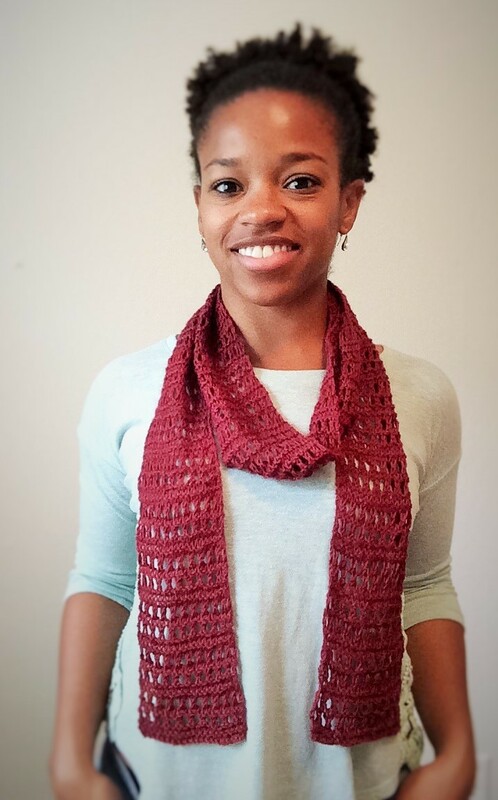 Hi Whit – I’m nearly finished this scarf! I just wanted to ask, did you find it got any longer after you’d blocked it? I’ve never blocked any of my projects so I’m not sure if the blocking will cause it to stretch out more.